Walk into any city and you’ll see about a million different modes of transportation. You can hail a taxi, grab an Uber or Lyft, rent a bike or car, pick up a Car2Go or Zipcar—the list goes on and on. But an app service in Seattle is looking to change things up. Getaround is an app managed by Paul Erlandson, and he wants to shake up the transportation world. Getaround merges ridesharing with the concept of Airbnb: instead of someone else driving you around, you just rent someone’s car for a while when they’re not using it. Consider it a less-known alternative to Turo, the car-sharing app we’ve all had some (occasionally questionable) fun with. It’s a pretty interesting solution. 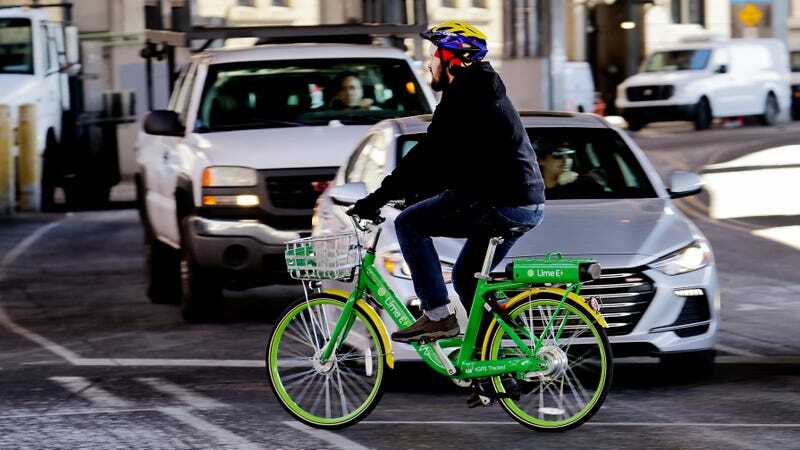 Some of the big criticisms surrounding rideshares like Uber or car rental systems like Zipcar are that they add a volume of cars to the road that wouldn’t have otherwise been there. When they’re not being used, then they’re just taking up space. Getaround takes advantage of the fact that there are just cars sitting there all day. Think about it: if you drive to work, chances are, your car is just sitting there in the parking lot. Someone else could use it to pick up groceries or run some errands, and you’d make a quick buck without having to lift a finger. You wouldn’t even have to give them your keys, because they’ll be able to access the car with a remote lock installed under the steering wheel. There are some obvious downsides that Getaround has tried to address. So, for example, there’s only a round-trip option available, so you don’t have to worry about hunting down your car when the renter is done. And owners and renters have to be verified through Facebook to make sure they’re good people. Which, y’know, cannot always be guaranteed. But there’s also an enhanced security mode to make things more difficult. Owners are protected by insurance, their car has to meet strict standards, and renters are instructed to take photos of the car before each trip, just in case. About 50 cars have joined up, and there are plans to expand later this summer, so for now it still pales in comparison to Turo. As someone who is very particular about who drives my car, I’m skeptical—but as someone who also kind of feels bad about how much they use rideshares, it makes sense. It’s not a great option for people who need a one-way trip or who plan on going out partying for the night or who are just going to the airport, but it might be a step toward making sure roads are less congested, which isn’t something any of us can really complain about. At any rate, if you’re in the area and have been considering Turo, give this a look too. Update: This post has been updated to add information about Turo, and to correct a sentence that said the app launched this week—it’s been around for several years.